Since neglecting my fitness, I’ve had a lot more time to play with yarn! I’ve even been brave and developed new skills. 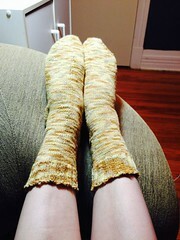 I knit my very first pair of socks! They don’t fit particularly well, but they do FIT! Now that I am over my fear of double-pointed needles, my opportunities for knitting have VASTLY expanded. I am no longer restricted to squares (like dishcloths), rectangles (like scarves), and circles that do not get smaller or larger (like cowls/neckwarmers). I’ve been in major “stash busting” mode – crocheting and knitting like a fiend, making a dent in the vast amount of yarn stored in “Yarnia”, a.k.a. “Yarntopia”… a room in my basement filled with bins of yarn. 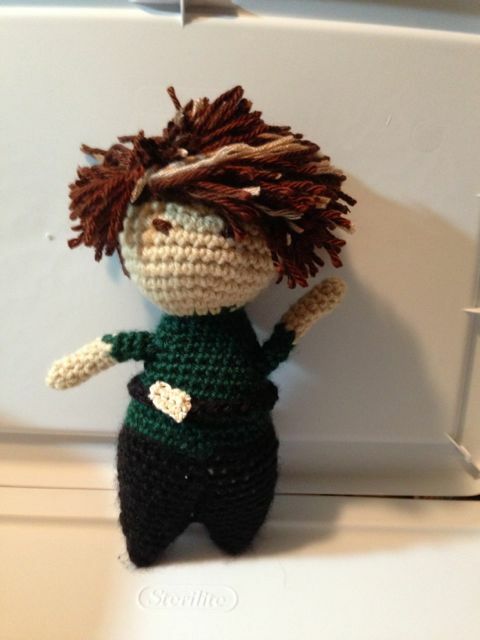 I’ve had a number of people ask about the fugly custom yarn dolls – so here goes. 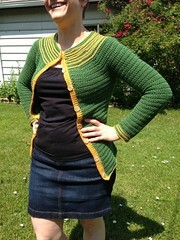 It’s been over six months since I updated my blog for my knit/crochet projects. 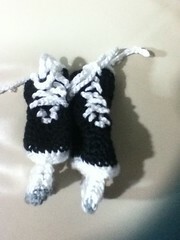 I admit, I haven’t been doing as much knitting or crocheting. Since I’ve been working out and busy at work, I haven’t had as much time or energy to focus on making things out of string. However, I have made more than the personal trainer and “mini-me” I’ve posted about. Most were made prior to the end of the year. Spoiler Alert! 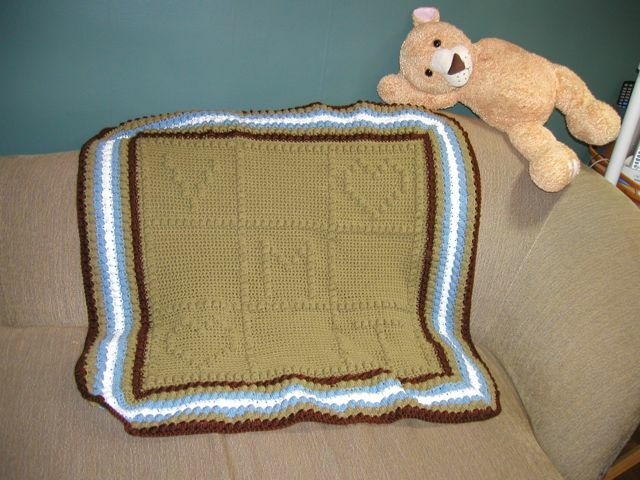 Rob, Renee, Brett, and Kirsten – if you don’t want your baby blanket surprises ruined, do not read on! It’s time for those famous summer international games! In London! Personally, I did not watch any of the coverage, due to my annoyance with the U.S. Committee. I mean, protecting your copyright, I understand that – but there’s no need to be downright RUDE! 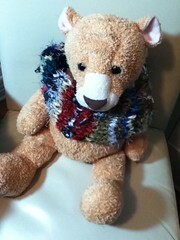 (Plus, really, we have to cease and desist from using adorable images of Ravelry’s mascot “Bob” in a hand-knit hat? That’s sad.) (Information on the controversy here and here and lots of other places.) Anyway, while the Ravelry games (our play-along with yarn) had to be renamed to the “Ravellenics” to avoid lawsuit (since we’re such a horrible threat to the U.S.O.C’s money-making ventures), we still HAD the games and I participated for the first time. Some finished projects… most crocheted, one knit.